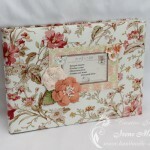 Welcome to my blog and the new post about the latest scrapbook projects from the last two months. They include some cards, paper house and masculine photo album. I’m going to start with the cards. The first card is clean and simple. 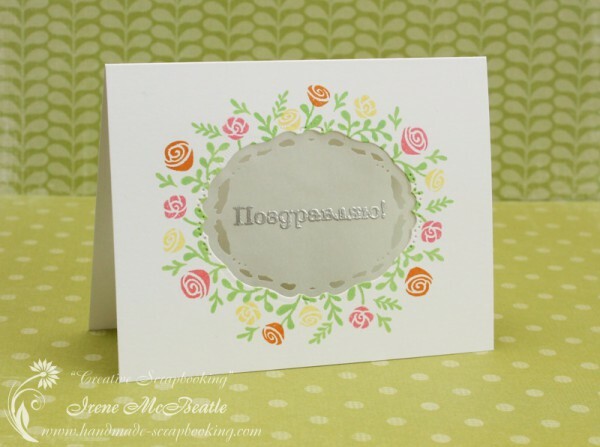 It has white cardstock base as the background, die-cut window. 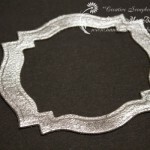 The greeting is embossed in silver on vellum which fills the window. The window is framed with stamped flowers and leaves. 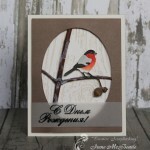 The second card is made in eco style. 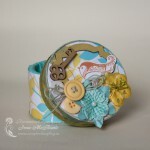 The base is a part of a craft card box. 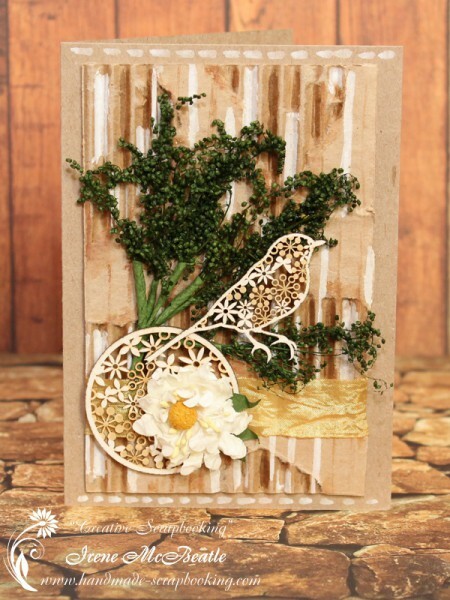 Embellishments include paper branch in green and delicate chipboard die-cuts. 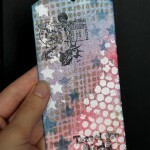 The third card is featuring self-made background. I used a stencil and spritzed distress markers. 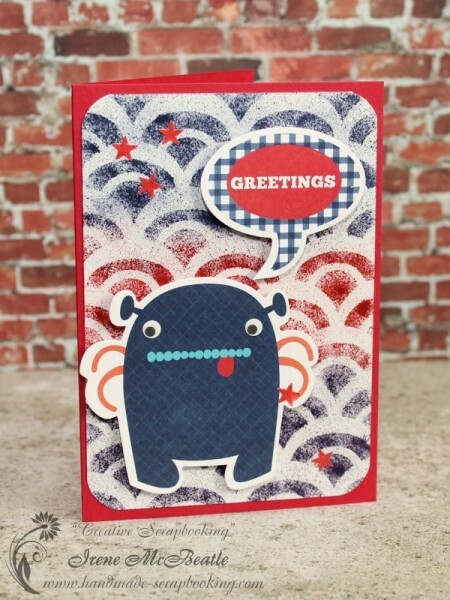 The image of an alien monster and the greeting are pre-made die-cuts. I think this could be a fun card for a boy. Now to larger creations. I made the template for this house myself. After the cardstock base was glued it was covered with modeling paste. Dried paste was painted with acrylic paints. 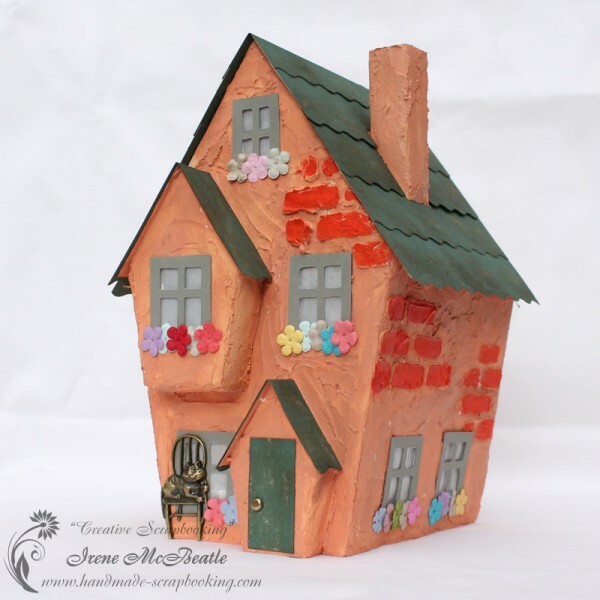 Windows are covered with vellum so if you put a light inside of the house it will shine through. 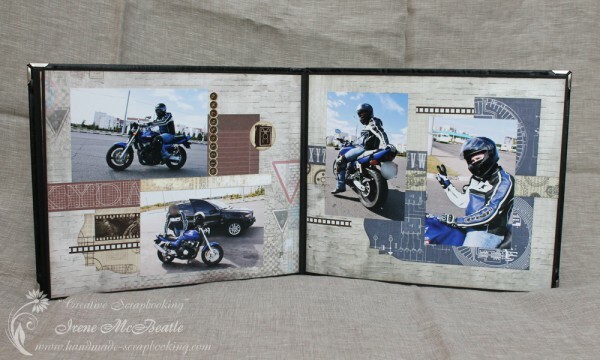 The last project that I’m showing today is a super big photo album. It was ordered by a man who wanted to put together all of his interests and favorites. The size of this work is about 10”x9” or 27×25 cm. 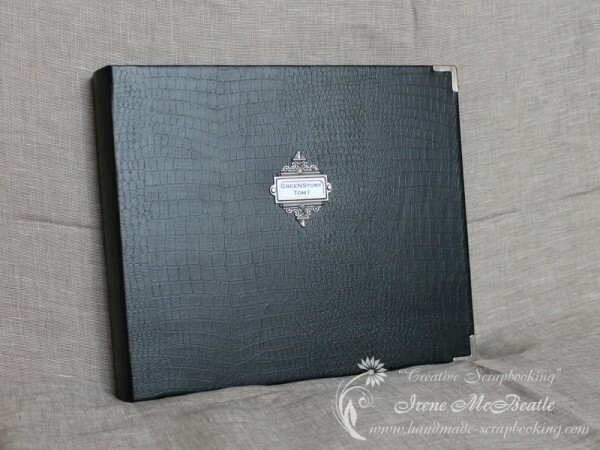 The cover is made with faux leather. It contains 22 pages. For the pages I used Mama-razzi2 collection by BoBunny and different collections by Scrapberry’s. I’m not showing all the pages of this big photo album. 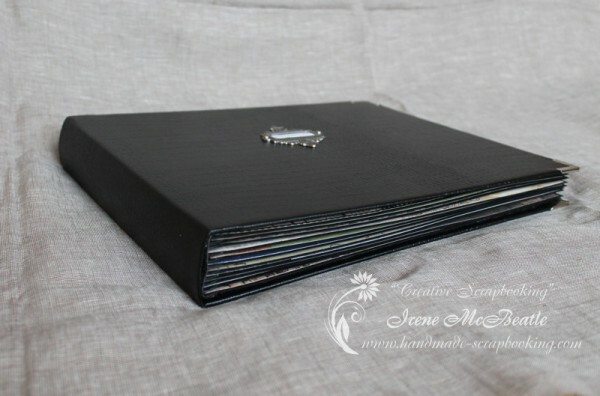 Just want to make a note that I take orders for custom albums of any volume.